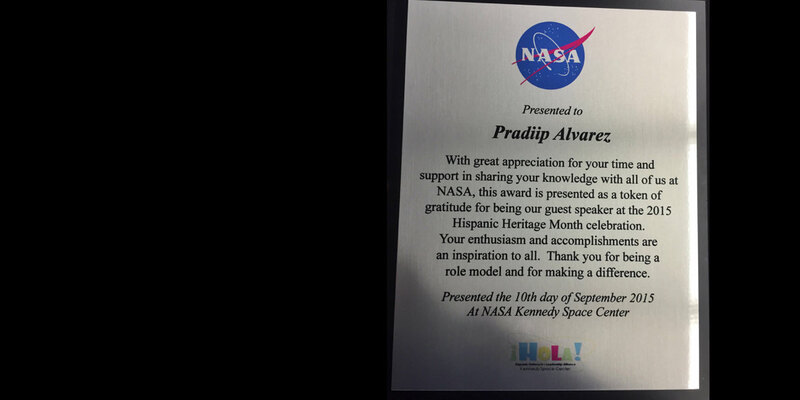 Pradiip received an award by NASA for his keynote speech "The Power of Collaboration - How diversity is shaping our future on and off the planet" during NASA’s 2015 Hispanic Heritage Month celebration at Kennedy Space Center. the outstanding accomplishments of FSU’s young alumni. either through traditional channels or innovative approaches. awareness and mutual understanding on the FSU campus.